Geneva, October 1: The President Centre for Pakistan and Gulf Studies (CPGS) Senator Sehar Kamran (T.I.) 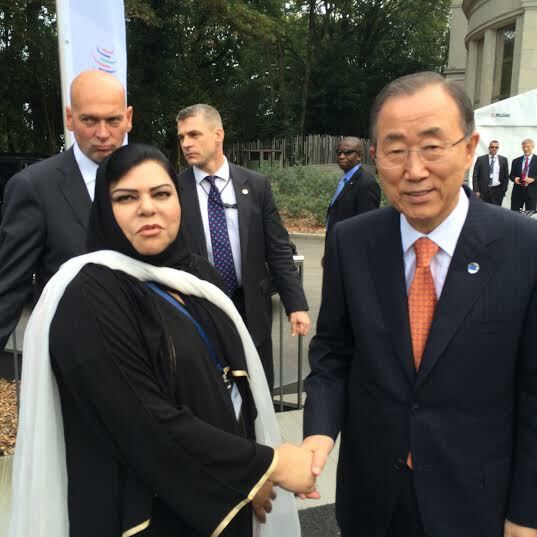 met the United Nations Secretary General Ban Ki Moon at the World Trade Organisations’ (WTO) Head Quarters in Geneva. Senator Kamran is currently participating in the WTO Public Forum. Senator Sehar Kamran also presented the UN Secretary General with the CPGS’ Seminar report on “Nuclear non-proliferation, arms Control and disarmament: Contemporary challenges and prospects” along with the recommendations for a peaceful and safer world, which was launched recently.